Saikou of African Drums & Art Crafts and AFROFEST would like to say big THANKS to everyone who participated at this year’s 1000DjembeFola event!!! 1000DjembeFola was at Afrofest Sunday, July 8, 2018 at Woodbine Park in Toronto, Canada. 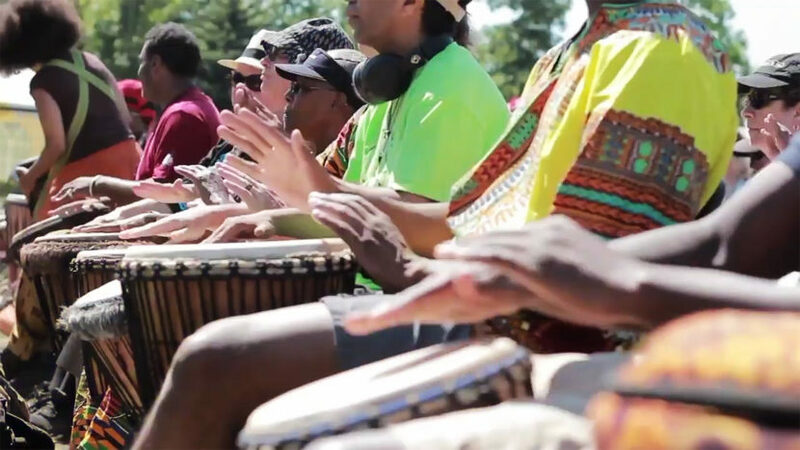 It was a Record Setting Attempt for World’s Largest Djembe Drum Circle Ensemble Organized by African Drums & Art Crafts and Presented in association with AFROFEST 2018. This was to celebrate African Drums & Art Crafts’ 20th anniversary and AFROFEST’S 30th anniversary, a momentous occasion for both organizations. We are grateful for your participation as coordinators, volunteers, drummers and audience members. We shall do it again soon. Stay tuned. In the meantime, you can enjoy this video from the event. Also lots more pix available on Instagram with tag #1000DjembeFola.